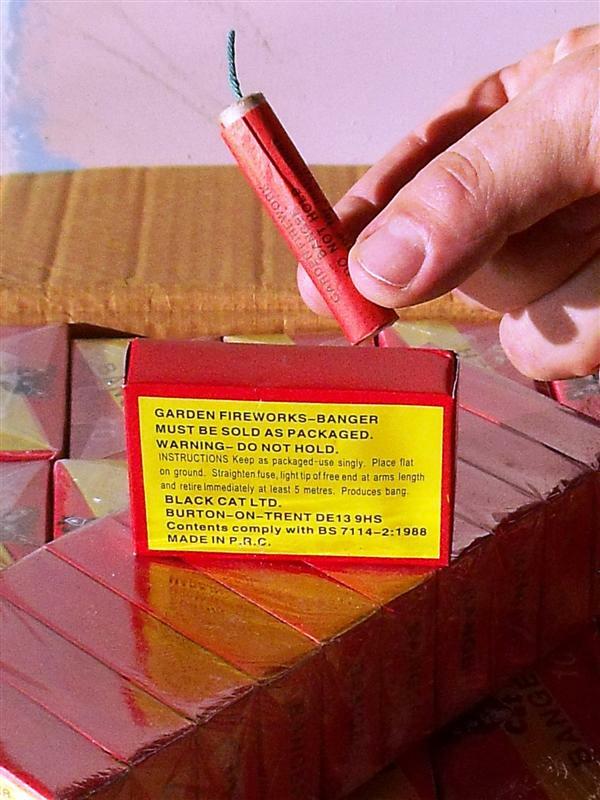 Residents are being urged to be on the lookout for illegal fireworks after it was found that banned bangers were being used in County Durham. 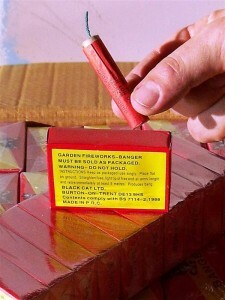 The illegal fireworks, which are labelled ‘Black Cat’ – a legal brand, are actually believed to be counterfeit and have been banned since 1997. Trading Standards officers at Durham County Council and police were tipped off about the batch after some residents in the county complained that children were letting them off in the streets. Investigations to uncover the source are continuing but Trading Standards officers have found that these products are becoming increasingly available through unlicensed sellers, some of which are using social networks such as Facebook – bypassing strict controls on storage and supply. Anyone who stores fireworks to then sell on must be licensed with the local authority and if they are sold outside of normal periods a further licence to sell is required. It is also illegal to supply adult fireworks to under 18s. Members of the public are now being encouraged to report any sales of illegal fireworks to the council’s Trading Standards team. Joanne Waller, head of environment, health and consumer protection at Durham County Council, said: “Mini-rockets, bangers, firecrackers and fireworks of erratic flight are all considered highly dangerous and are illegal. “In particular, the type of fireworks we have previously found in circulation in County Durham are extremely powerful and are capable of causing serious physical injury – as demonstrated in the tests we carried out. “Our aim is to cut off the supply of illegal fireworks and we target anyone found to be trading them without the appropriate licence or selling to children. “We would also strongly urge parents to be aware of these dangerous products falling into their children’s hands and people should only buy fireworks from reputable retailers and report any illegal activity straight away. Anyone with information about illegal sales is asked to call Trading Standards on 03000 261016 or email tradingstandards@durham.gov.uk – all information will be dealt with sensitively.